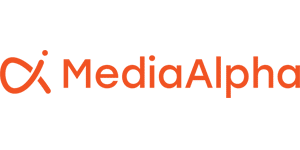 Jornaya Intelligence is now available as a 3rd party data source on MediaAlpha for Advertisers, enabling more informed and impactful media buying for advertisers. MediaAlpha users can access Jornaya Intelligence within the Campaign Management module to enhance targeting or to modify bidding strategies. Incorporating Intelligence into advertising campaigns will help advertisers make better decisions about when and how to bid based upon where a consumer is within the buying journey. Adding these consumer intent insights will help drive higher conversions and lead to better media returns. The integration of Jornaya Intelligence into the MediaAlpha Platform expands the breadth of advanced data sources available to advertisers to enhance targeting and bidding strategies. Several leading insurance advertisers are already using Jornaya Intelligence to improve their lead and click campaigns. To learn more about how Jornaya Intelligence can help you, contact us today.